Yahia Lababidi, Egyptian-American thinker/poet, is the author of 6 critically-acclaimed books and has been featured on PBS NewsHour, NPR, Best American Poetry, World Literature Today, On Being with Krista Tippett, The Guardian and Al Jazeera, among several other places. His forthcoming book, WHERE EPICS FAIL, is to be published by UK publisher, Unbound, in partnership with Penguin Random House, and has been endorsed by Richard Blanco, Obama’s inaugural poet. “Epics” is now available for pre-order. I could hold in my hand and share with others, what I previously carried in my head and heart. After 5 books of different genres (essays, poetry, conversations), over nearly two decades, I am returning to writing another book of aphorisms. It is different in that I no longer worship at the altar of the mind, and don’t mind professing ignorance and bowing before the Spirit. Growing up with a Lebanese father, Gibran’s Prophet was an early introduction to poetry (in my teens) followed by Wilde’s De Profundis and TS Eliot Four Quartets. As Eliot says: ‘Genuine poetry can communicate before it is understood.’ It stirred me to the depths, without my fully knowing how or why. Prose (essays, etc…) requires structure, mapping out all I know, creating outlines and fleshing them out. Poetry appears from thin air. It lets me know when it’s ready. The harder it is to write, the more I suspect that I am stealing from myself, and picking unripe fruit. I proceed in fits and starts, I get bits and pieces, an image, a line, here, a limb or a tail there… I do not fully understand what I am working on until it’s complete. My books, too, are not so much composed, as they are cobbled together. Shy show-off that I am, on paper, I still struggle with readings. It seems unfair not only to lay one’s heart bare, and reveal all your secrets in books, but also to have to stand completely naked under strong lights, in a room of clothed strangers, and confess one’s strange sins. The poem teaches the poet. I write to learn what I know. Liberation and transformation are giant themes that occupy me on the page and off. Each time one sits to write, it’s a wrestle to set the ego aside, the limitations of specificity, and an attempt to practice the art of dying, anew. Witness, Conscience, Voice for the voiceless. So, it’s a matter of pruning. Or to mix metaphors, and I can’t remember who said this, but a good editor rescues the fire from the ashes. Write what you know. Up to a point. And, then, vacate yourself, and let what you don’t know be written through you. 10 - How easy has it been for you to move between genres (poetry to essays)? What do you see as the appeal? Different genres represent different stages of our life, intensities, or facets of our personality, perhaps, even our being. Not a wholesome practice to divide one’s self thus, but I used to think my essays were my mind, my poetry my heart, and my aphorisms my soul. None. I have no routine or typical day. Reading helps, sometimes; other times, silence. Home is Egypt, which I’ve not returned to in over 11 years. I suppose, complex spices and exhaust fumes. Silence is a great master, and of course, Everything Else! But one must pay attention, and listen closely, so that they might overhear the Conversation of All Things that is always taking place. This is what good art does. It takes a pebble in the road, or a human being, and it concentrates on them until they begin to glow. I think the concept and the notion of blushing is very important in art, and in my kind of art. You know, the artist concentrates on the detail of the object until it blushes in the way the love object blushes when a lover gazes at it with that particular intense gaze. That is what art should do. It should make the world blush and give up its secrets. - John Banville. Increasingly, mystical utterance, specifically, the Sufi saints (mystical branch of Islam). I don’t know if I’m capable of a children’s story, or a play, but I’d like to try my hand at them one day. Perhaps, if I find the right collaborator, co-conspirator. I wanted to be a lawyer, a singer, a monk. I suppose the writer that I am is a mix of all three. I write myself sane. Anne Sexton. Book: The Revelation of the Veiled, an early Persian treatise on Sufism. Where Epics Fail: Aphorisms on Art, Morality and Spirit, over 800 aphorisms composed over the last decade or so, that are in the process of rewriting my soul. It is now, available for pre-order; and, as a thank you, those who pledge on the book’s webpage will have their names included in the back of the limited hardcover edition. I have three new poems up at Australian site Vending Machine Press, from my work-in-progress "the book of smaller." Thanks much! Further poems of mine online can be found at my author site. to be another author. It’s called life. how far north am I of New York City? A brief snow held by buzzed grass means pity. The wall of want and should grows soft and fat. for two thousand and bury my parents. I repeat the parable of the talents. I saw you are a professor of art history. Which came first, your interest in art or your interest in poetry? This is a really great question, which I think (because of the verb tense of “came”) ends up being about class. Like many people, I’ve participated in a lot of different classes in my life. But when I was little, the sort of “culture” things in my house were the piano, watercolors of golf courses, Egyptian hieroglyphs on papyrus, and those leatherbound books with the gold letters on them and the gold page-edges. The piano, a Chickering upright, was probably the most “authentic” of the objects. It was kept in tune and I took it pretty seriously, as a small kid. My parents were in full-blown aspiration mode. Our class, as a unit, was shifting, and our culture things reflected that. I’m not ashamed of that, but it’s a real factor. But the hieroglyphs were in my parents’ bedroom, so in any contest between poetry and art, the leatherbound books were going to beat the golf course watercolors every time. Keats, HUGE in my early life, then weirdly secularized for me when I took Helen Vendler’s Keats seminar as a first-year in college. (Was so saddened by her race-blindness in recent years, and I mean that term in both sad senses.) Who else. I never read Tristram Shandy but I opened it a lot. Anyway, that’s not poetry. Donne was there, too, I think? Definitely Shakespeare, Pope, a rhymed version of some Homer. In any case, poetry, definitely, was first. Thank you for not asking which comes first now! Me though, I’m named Squeaky, after Squeaky Fromme. Squeaky Fromme was an anarchist and killed a movie star. I’m supposed to turn out to be a butcher of stars (butcher than Butch). I’m called Squeaky, Pip-squeak and weasling, which is weasel + weakling. GOOCH: Yeah, genre writing. In the classical period poets would do an elegy and then do an ode, then a lyrical poem and everyone knew what they were doing. Now poetry’s gone into this kind of mess in a way—which is good, I don’t mind that—but in writing life there are these very definite kinds of writing: magazine articles, stories, novels. SA: The 80’s as the pastiche of all these things being thrown together. GOOCH: That connects with what’s going on in painting. In fact there are these connections between certain kinds of painters and writers I’m starting to see, which I hadn’t thought about much before, and one of them is that, being free to throw in everything, and the other is being free to tell a story again, without having always to be reminding everyone that one knows one’s writing a novel, drawing attention to “this is language”—all that kind of stuff which was popular, which was need, which now we really know. Novels are old-fashioned; and we can just go on and do it anyway. Andrew Seguin is a poet and photographer. He is the author of the poetry collection The Room In Which I Work (Omnidawn 2017), which was inspired by the life of photographic pioneer Nicéphore Niépce, and of two chapbooks, NN, and Black Anecdote. 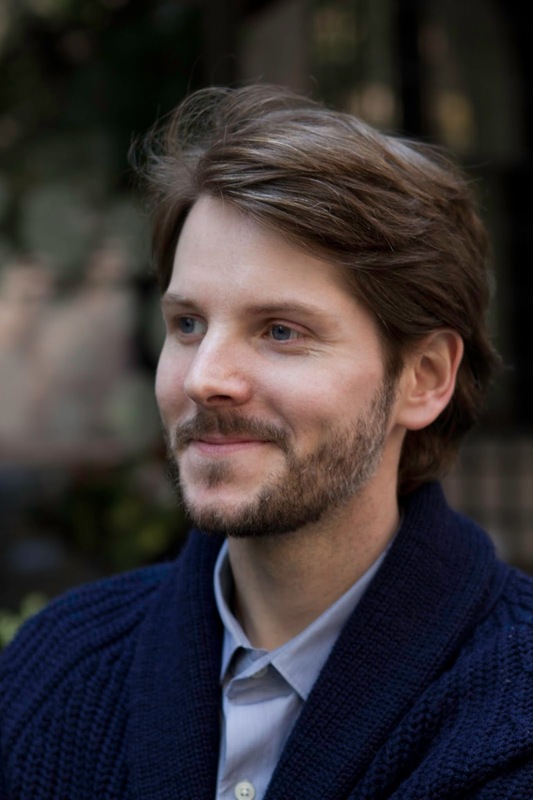 A former Fulbright Scholar in France, Andrew lives in New York City. Mostly not much, though it was a real affirmation of work and persistence, and risk-taking, because my first book was actually the third full manuscript I’d written. I had sent the other two around a lot, sometimes with solid leads, and I think that The Room in Which I Work follows naturally from those manuscripts, in that it synthesizes lyric poems with prose and documentary material. What’s different about it is I decided to force or allow all those things to cohabitate—with imagery too—and that the book is really devoted to someone else’s (Nicéphore Niépce’s) life. At the level of word and sound, I think. A natural love of language and a sense that it was an enormous forum for play—silly songs with my siblings, lots of nonsense language with friends. Then, in high school, being assigned to read Whitman’s “When Lilacs Last in the Dooryard Bloom’d” and wanting to make a phrase like that, which could take on a subject as large as the assassination of Abraham Lincoln. It depends. The Room In Which I Work really happened in a year and a half, and that had to do, in part, with the duration of the grant I was on while writing it. But I do tend to generate a lot of material, and throw away a lot, and often that is with no project in mind. It’s only after a period of a year or two where I can say, “oh, I’ve been generating a lot of poems about X.” First drafts, for me, do often come close to their final shape, but I think that is also because I abandon a lot of drafts, and they are the rehearsals for the later, better draft, even if they are completely different poems. A poem for me begins with a line or phrase that occurs to me after having seen or felt something, and in sound and meaning it somehow has accuracy or mystery that needs to be investigated. 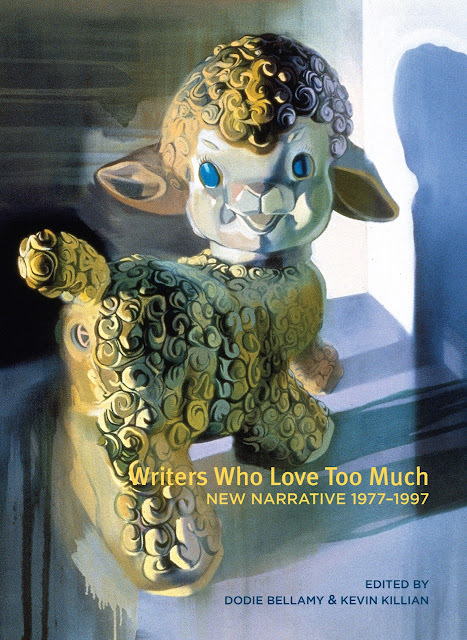 I think of myself as more of a short-piece writer whose pieces accrete into a book, but the evidence points to the contrary: The Room in Which I Work was definitively a book project from its outset. They are neither part of nor counter, I would say. I don’t give a lot of readings, but I really enjoy them when I do, so maybe I should do more. There is something about being able to deliver the poems directly that is really important—the pacing, how I hear the poem in my head. And I have had moments of embarrassment in reading aloud a poem that maybe was not finished, and so knowing, really knowing, I had work to do on it. Embarrassment is a great revision tool, I think. No theoretical concerns, but lots of questions, both concrete and otherwise: How far can language be pushed to show me or make me (and by default others) feel something truthful and new? How do we make sense of our lives? Has anyone heard this before? What has value? Where are we going as a species? Where can the English sentence go? How much time does the earth have left? What’s the responsibility of consciousness? If it’s absurd to be here, what else is it? I think it’s the same as it always been: to expand and preserve the province of the imagination. Essential. I have two very close readers that I’ve known and worked with for years now, and I find their feedback to be crucial in revising poems, and in testing out new modes and silly ideas. The value to me is clear: someone with more distance from the work can see things you can’t see. It’s been easy and very natural, though I admit that is changing. I seem to be gravitating more towards writing these days, and am having a harder time making photographic work that I feel has any consequence, but I also know from past experience that that can change, depending on what ideas seize me. The appeal, I think, is in letting go of language when I’m working photographically, and having a purely visual vocabulary to employ. And my photographic work, because I work in a way that requires preparing paper and brushing on sensitizer, has an element of the hand in it, which carries an immensely pleasurable and meaningful feel that does not exist when writing. I think each genre affords me space from the other, and also lessons about the other. I try to write something new every Friday morning, and then revise and tinker a bit over the weekend and throughout the following week. On a typical day, I get up at 6:10, make coffee, and read for an hour or so before I have to start my life. Art, the cinema, and walking around. Visual representation is always provocative for me and helps generate poems. And then I sometimes have to reread a poem such as Wallace Steven’s “The Man on the Dump” to remind myself what it’s all about, or just stroll through the city and let things wash over me. Visual art and movies, as I mentioned, and then travel. As of 2015 I have traveled regularly to Senegal for work, and my experiences there have inspired a lot of new poems: making sense—or acknowledging that trying to make sense is my default reaction, and perhaps not an appropriate one—of all the things that comprise a different culture. Live in a Spanish-speaking country so I can finally become fluent in the language. I would like to be a woodworker. I never felt it was a choice. It was always what I wanted to do. I’m giving two of each because their intake occurred almost simultaneously: the books were Splay Anthem by Nathaniel Mackey and The North Water by Ian Mcguire. The films were Aquarius and Toni Erdmann. A new manuscript of poems.